My Memory of Us tells a compelling story with endearing visuals that make up for its dull, forgettable gameplay. As a Jewish person of Polish descent, I grew up listening to stories about the Holocaust from my late Grandfather. He was in his early teens when Germany invaded Poland in 1939. Miraculously, he survived the war and even took part in the fight against the Nazis before fleeing Europe. Most of his family were not so lucky. Needless to say, the subject of the Holocaust is very close to my heart. As an avid gamer and writer, I’ve been waiting for a game that “dares” to tackle it in a meaningful way. My Memory of Us is almost that game. My Memory of Us focuses on the events that took place in Warsaw, Poland, during World War 2. It starts just before the Invasion of Poland on September 1, 1939, and ends with the Warsaw Ghetto Uprising in 1943. If you know your history, you know how badly it ended. 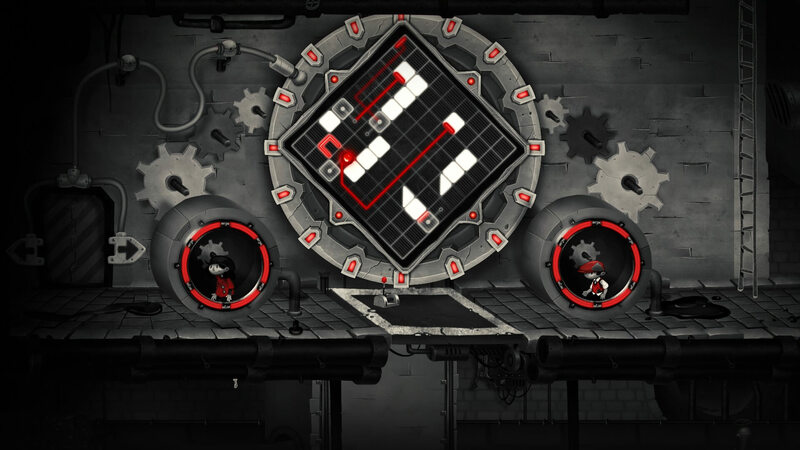 If that’s not risky enough, Polish developer Juggler Games decided to tell the story through the eyes of two children, one of them Jewish (or one of the “red folk” is the game calls them). This way, we get to experience everything from their point of view, which is a smart way to avoid depicting the horrors of World War 2 in their real, unsettling nature. The result is a charming but a bit shallow story about friendship and bravery in times of great adversity that occasionally slips into the realm of the fantastical. These are kids, after all, and kids tend to see the world a little differently. The Nazis are portrayed as cold, heartless machines, while trains and trucks turn into giant rocketships that take people to faraway places, never to be seen again. It’s a steampunk version of the Holocaust, and it’s both weird and oddly compelling. It feels like something a kid would come up with to try and make sense of what’s going on around them, which is what the game was angling for. 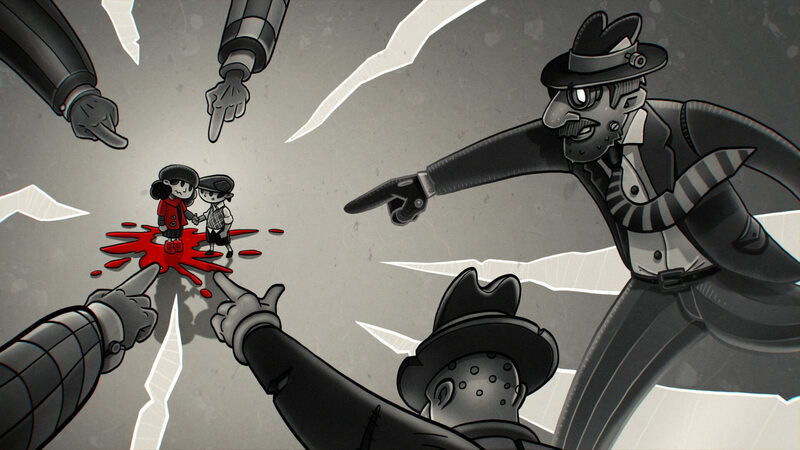 Some may argue that these fantasy elements are out of place in a game about the Holocaust. I disagree. My Memory of Us is a child’s version of the events – something you might actually use to teach a kid about this horrible period in human history (without traumatizing them). That said, I do resent the implication that Nazi soldiers were no more than robots following orders. I’m not sure that is what the developers meant to imply, but it sure can be interpreted that way. Nevertheless, the story is the game’s strongest asset, and it manages to deal with the tricky subject matter with the respect it deserves. It might even teach you a thing or two, as it portrays historical figures, and lets you collect “memories” in each chapter that provide more information about them and the events happening around you. While the story is consistently compelling, I can’t say the same about the gameplay. 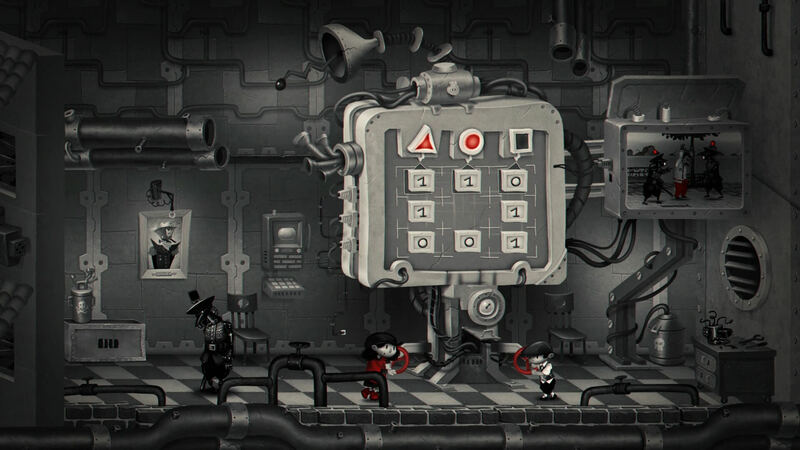 My Memory of Us is a mishmash of unrelated mini-games, environmental puzzles, and stealth. Most mini-games are incredibly generic, forgettable, and feel out of place in the broader context of the game. They also don’t pose much of a challenge, but I suspect that’s in an attempt to appeal to a younger audience as well. When you’re not completing a mini-game, controlling the children is a bit of a hassle. Controls are stiff and imprecise, and it gets annoying when you try to use something but can’t quite position yourself in the right place for the prompt to appear. My biggest issue with the gameplay, however, is its many “instant failure” moments that have you treading the same ground over and over again. My Memory of Us usually has a generous checkpoint system, and as I mentioned it’s not very difficult, but from time to time you are forced to endure a particularly frustrating segment. It wouldn’t have been an issue if the gameplay wasn’t as rudimentary as they come; unfortunately, it is, so going through an area or level more than once can be mind-numbingly dull. 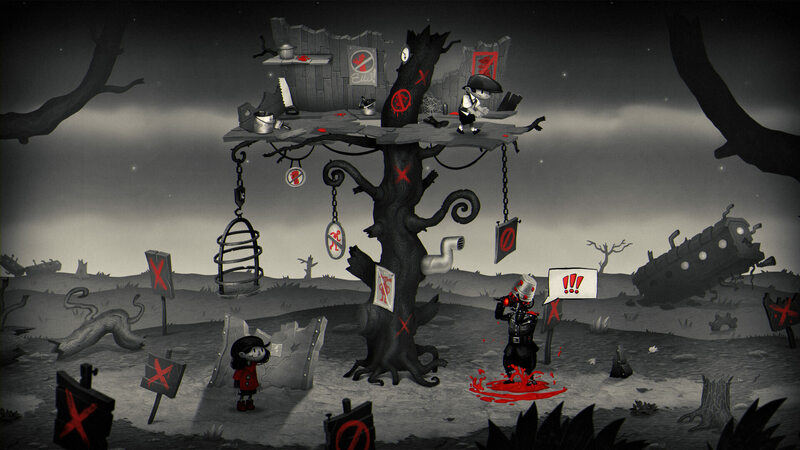 This clash between the macabre and childish continues into the game’s visuals. My Memory of Us is inspired by Stephen Spielberg’s famous film – Schindler’s List. 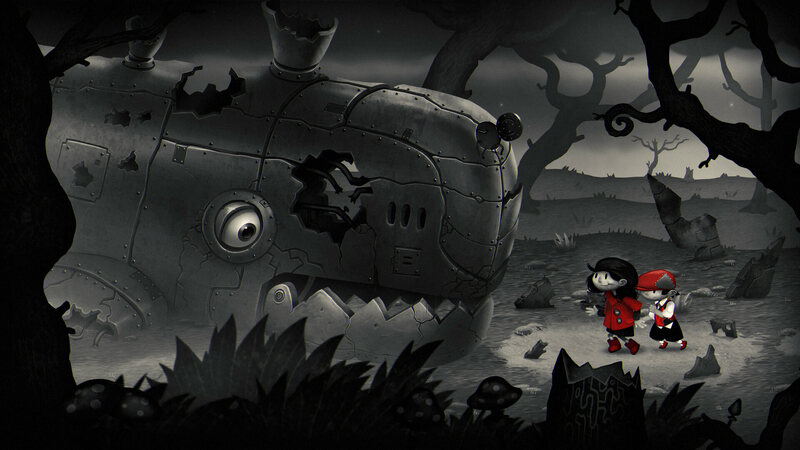 The game is mostly in black and white, with splashes of red indicating important items. Red is also the game’s version of the yellow badges used to identify Jews at the time. You even play a young girl in a red coat, an image that immediately evokes one of the more memorable scenes from the film. Outside of the very evocative color scheme, the art style is actually pretty cute, almost cartoonishly so. At times I felt like this style clashes with the subject matter, and it is weird seeing the kids with an almost constant smile on their faces. However, since the game is essentially a kid story, it makes sense. Telling this story is none other than Sir Patrick Stewart, who is fantastic as always, especially in the more dramatic bits. He is the only one who speaks during the entire game and carries it’s narrative from beginning to end. My Memory of Us is an important game. In a time when living witnesses are becoming rare, it tells a story that can, potentially, live on for future generations. Sadly, it’s not very appealing as a game, in and of itself. The gameplay feels more like an afterthought and turns this admittedly touching story into a somewhat dull experience. The approachable visual style does help draw you in, and since the game is short (I finished it in 3 hours), everyone who plays will most likely see it through to its emotional end. I’m glad My Memory of Us exists. It represents the first steps in creating a meaningful interactive experience, about one of humanity’s darkest eras, that doesn’t shy away from dealing with the horrors millions of people went through. We are still not quite there, but My Memory of Us left a mark I won’t soon forget.